QTY 12345678910111213141516171819202122232425262728293031323334353637383940 Please select a quantity. 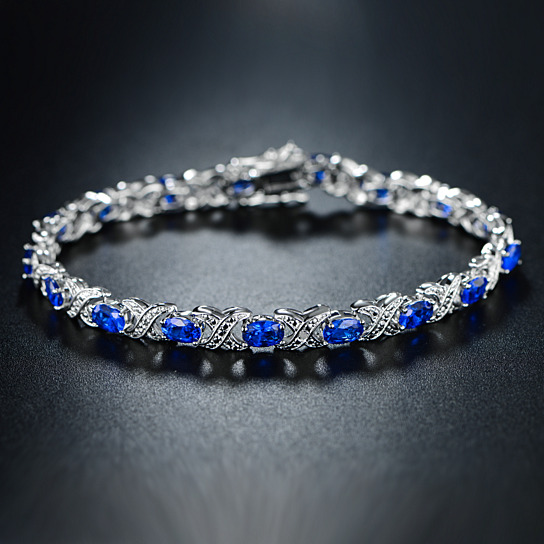 Turn heads in this classically elegant Diamond and Blue Sapphire tennis bracelet. Featuring genuine diamond accents, and dazzling blue gemstones, this bracelet is perfect for any occasion.